Killyman Royal Black District Chapter No. 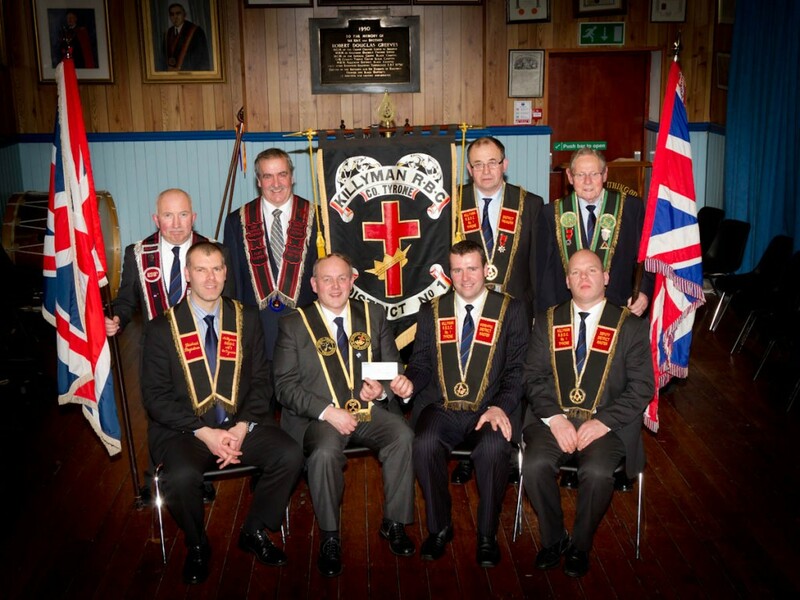 1 present a cheque for £4000 towards the 2014/2015 Grand Masters Charity Appeal. The sum was raised by events run be each of the Preceptories within the District and from the Annual District Carol Service. In total the sum of £85000 was raised for two Christian charities, the Bible Society in Northern Ireland and Mission Aviation Fellowship. The money will be used to send bibles to Christians in South Sudan and bring humanitarian aid to remote communities.